Early in the morning on 16 April 1945, the day after we had established our bridgehead across the Elbe river at Güterglück, the Germans counterattacked. An officer from the 83d Inf. Div. 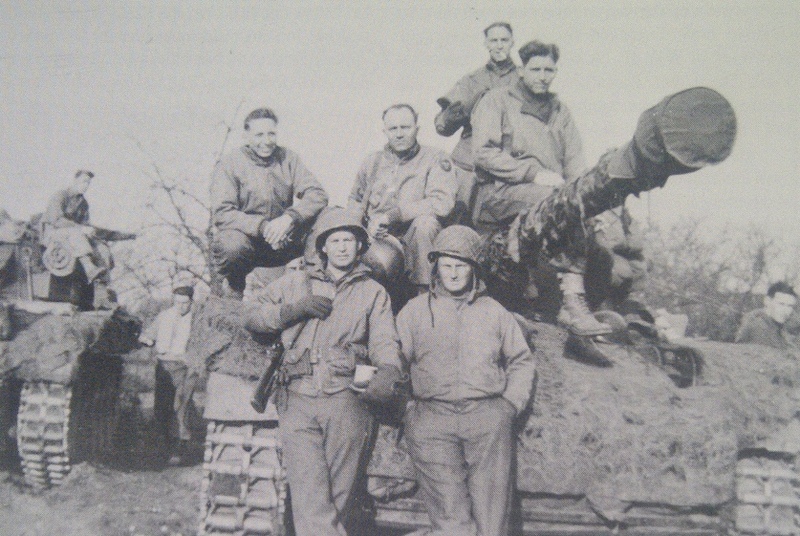 came bursting into the farmhouse where we were quartered, calling for Tank Destroyers. It was a foggy morning. We mounted up, and my destroyer, being number one in our section, started out after the officer. However a brass coupling from a fire hose which we had picked up the night before jammed and immobilized our destroyer. Henry Horton’s destroyer pulled around us following the officer’s jeep. The officer placed Henry’s destroyer at the end of the town. Henry got out to camouflage the destroyer and was standing beside it when a German tank opened fire. 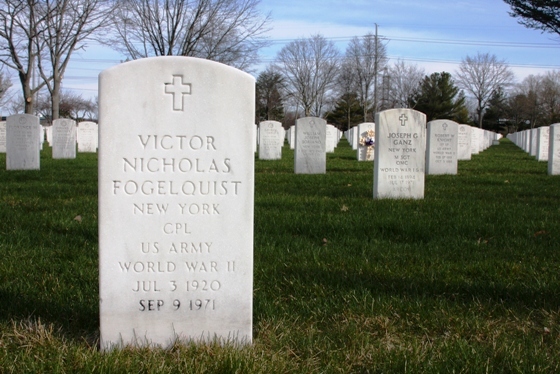 The first round killed Lawrence Killion, the driver and amputated the leg of Vic Fogelquist the gunner. Vic called for help and Henry jumped on the destroyer and with the help of Charlie Piombino, managed to get Vic out. Before Henry could get out a second shell came in, seriously wounded him. Charlie Piombino and Sal Fuca, the other two crew members, were uninjured. I am pleased to report that after Vic’s recovery, he did well and we had some good times at the reunions until he passed away a few years ago. Henry’s were so serious that he was unable to be moved from the field hospital for three weeks. The field hospital had only canvas cots, so when he got to the base hospital with real mattresses, he said it was like Heaven. In the meantime, we had managed to untangle our track and were operational again. Lt. Roddy, our platoon leader, recommended that Henry Horton be awarded the Silver Star for his unselfish bravery under fire in saving Vic Fogelquist. He never received the award. It was probably lost through channels. If anyone ever deserved the Silver Star, He did.